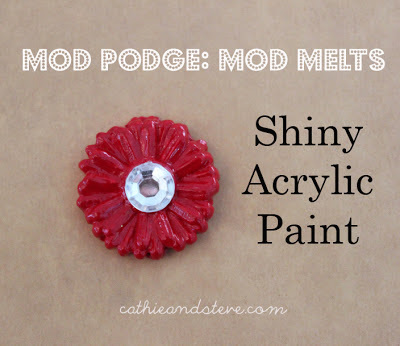 Cathie Filian: Our New Product Line: Mod Melts for Mod Podge! 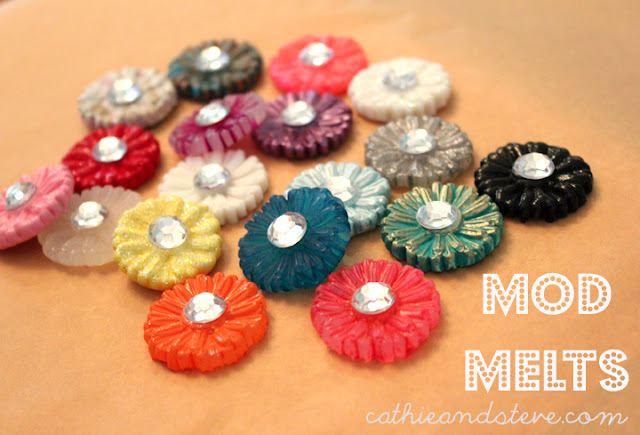 DIY your own embellishments! 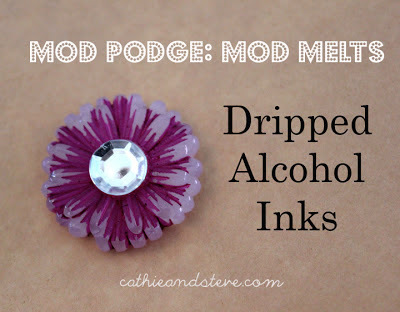 Our New Product Line: Mod Melts for Mod Podge! 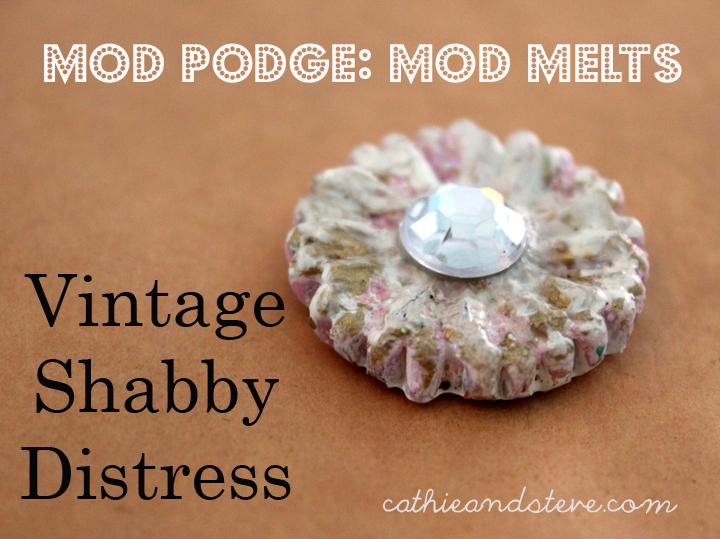 DIY your own embellishments! 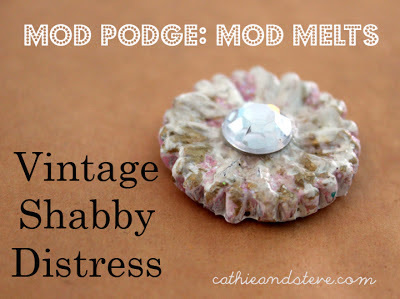 Mod Melts for Mod Podge! 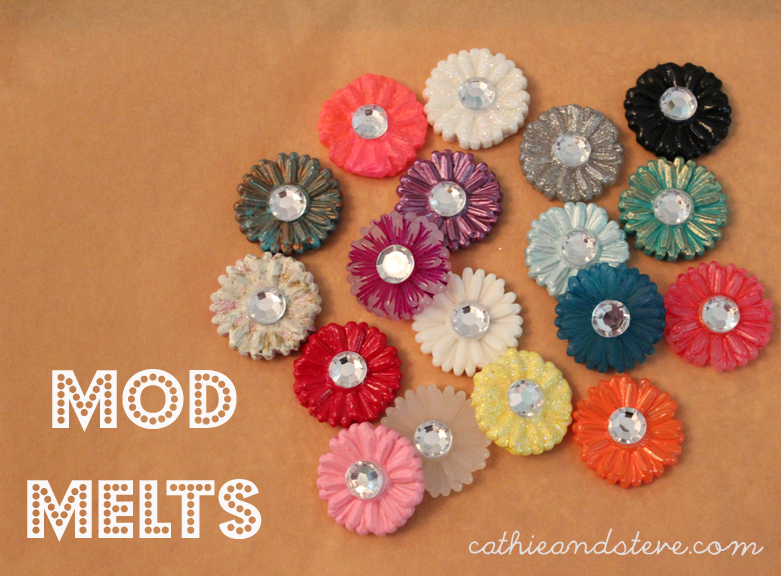 DIY your own embellishments! Steve and I are thrilled to share with you one of our new products for Mod Podge. Mod Melts! 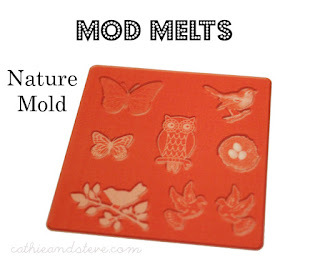 We have many wonderful new craft items that are coming to retailers this spring and one product we are so proud of is our new line of Mod Melts and Molds. 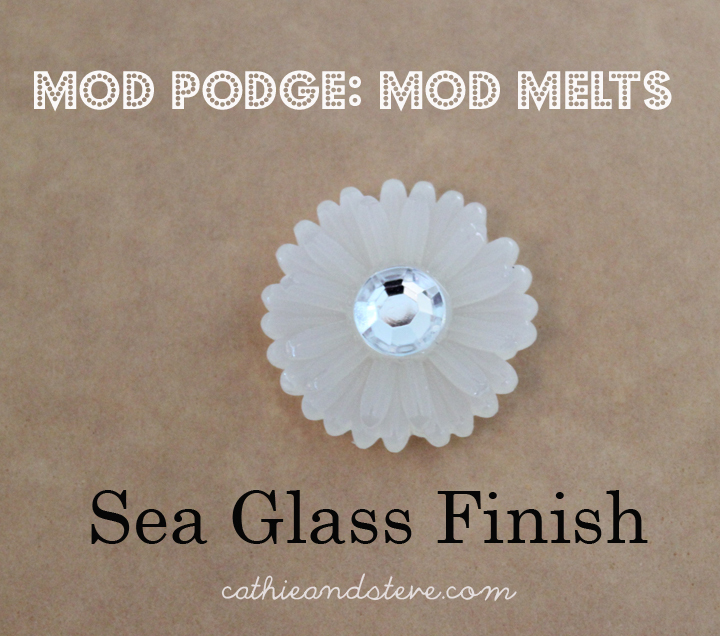 With our new sea glass and milk glass Mod Melt Sticks and Molds you can now make your own scrapbooking, mixed media and jewelry making embellishments. You can customize Mod Melts with a variety of finishes! 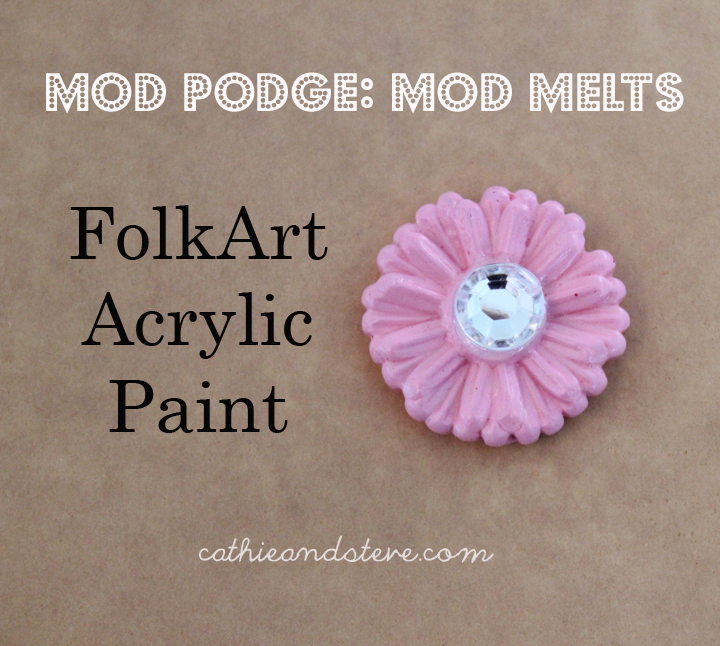 You can use FolkArt acrylic paints, shimmer mists, alcohol inks, glitter, nail polish, metallic paints, pearl paint and even embossing powders. Available Mid-May 2013 at Michaels USA and Canada! 1. Select a Mod Melt Mold. 2. Select a Mod Melt Stick. 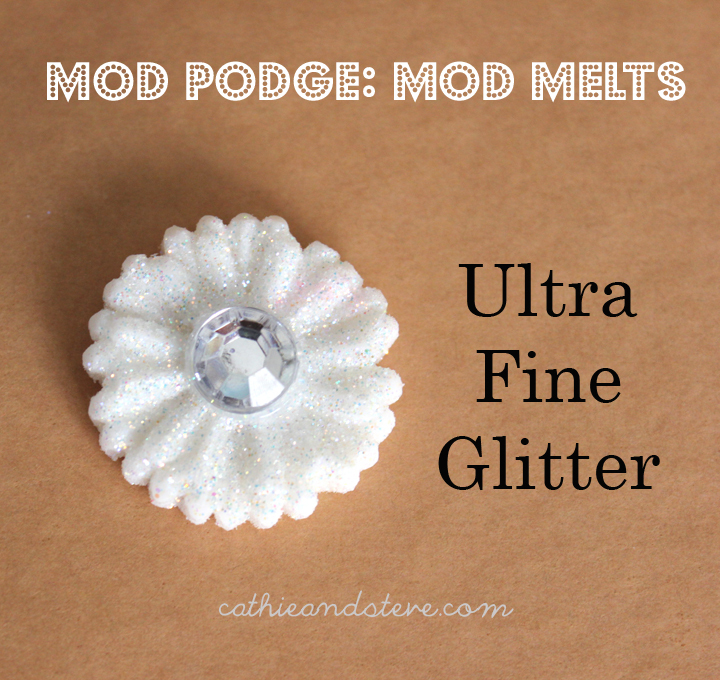 We have two styles available that were specially formulated for creating durable embellishments. 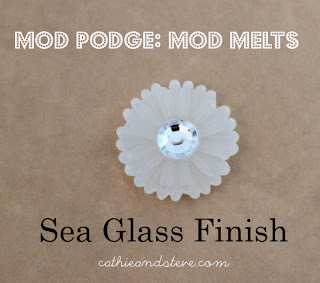 Sea Glass is the clear stick and this creates a beach glass look. 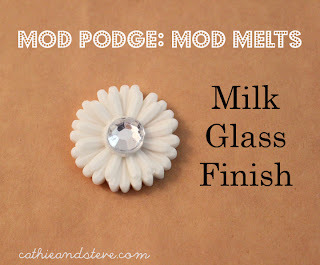 Milk Glass is the white stick and it creates a look of vintage milk glass. Cooled Mod Melts can be altered with a variety of finishes. 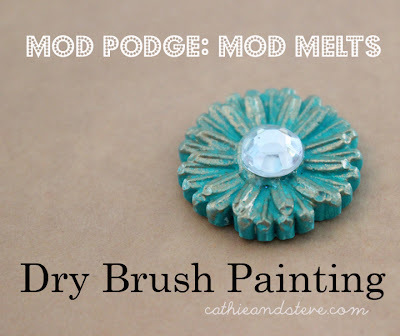 You can use FolkArt acrylic paints, shimmer mists, alcohol inks, glitter, nail polish, metallic paints, pearl paint and even embossing powders on either stick. 3. 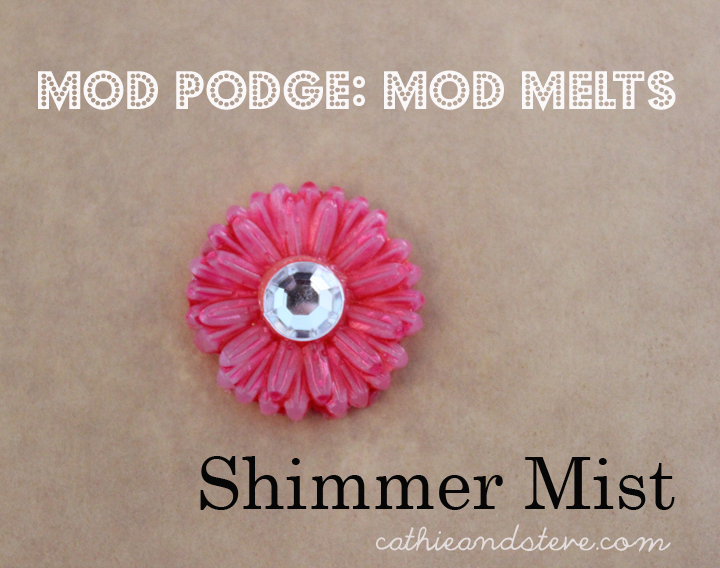 Heat the Mod Melt stick in a HIGH temp hot glue gun. 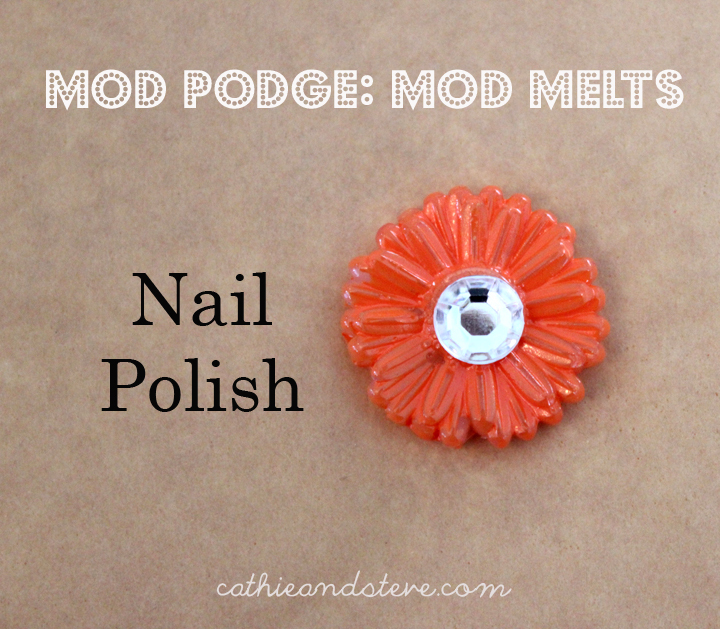 Squeeze the HOT Mod Melt into the mold of your choice. Begin in the center and work your way around the edges. 4. 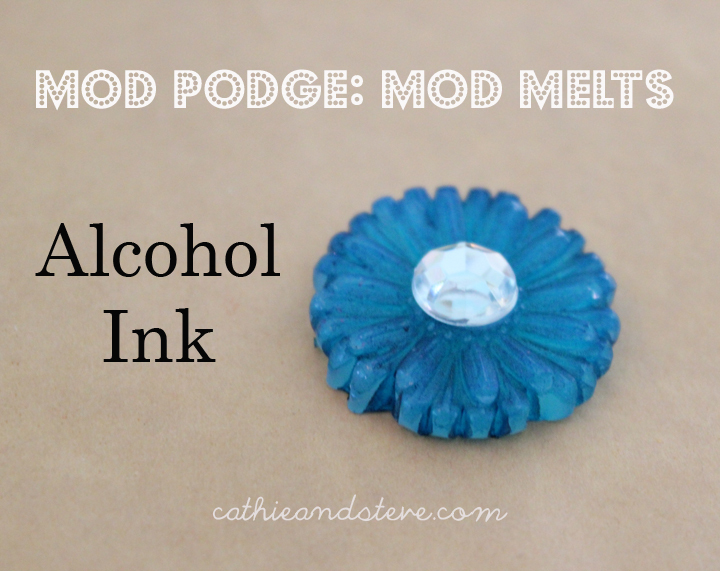 Allow the Mod Melt to cool. About 3 min. 5. 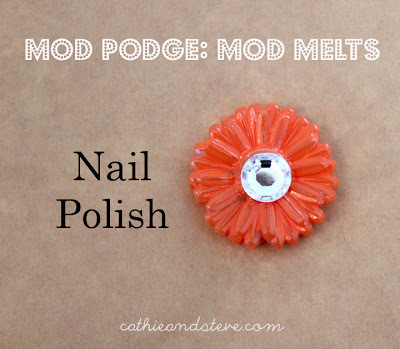 Pop out of the mold. 6. 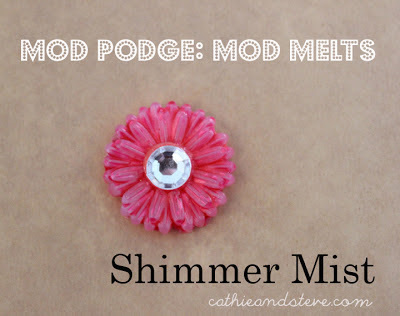 Embellish your Mod Melt with a variety of finishes! 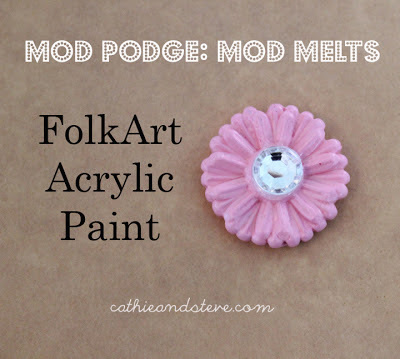 You can use FolkArt acrylic paints, shimmer mists, alcohol inks, glitter, nail polish, metallic paints, pearl paint and even embossing powders. 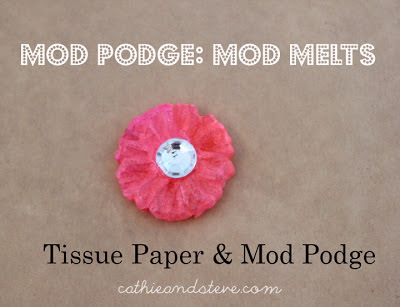 Attach to a project with appropriate glue for your project. 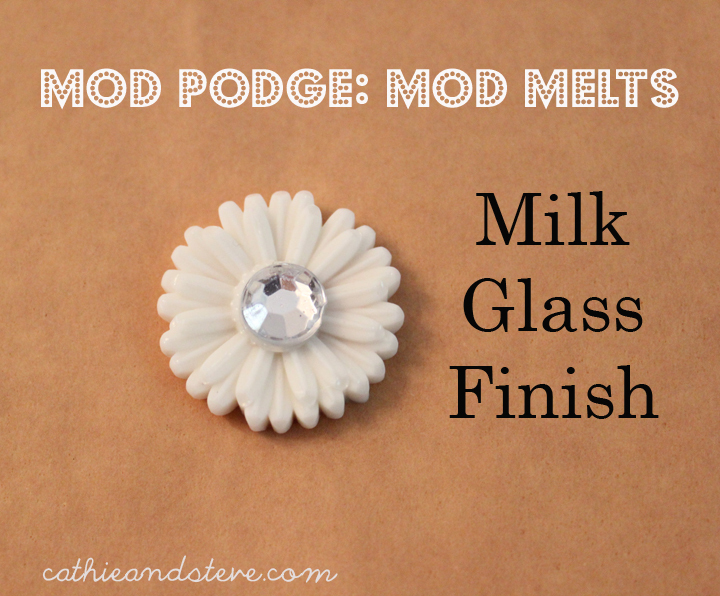 You can use Mod Melt, hot glue, gem glue or tacky glue. our new Mod Melts for Mod Podge! Oh how AWESOME..I can't wait to get my hands on some of the molds..Thank you Steve,Cathie for the cool molds.. Thanks so much! We are pretty excited about them!!! WOW this should be fun. where do u get the molds and sticks? That is amazing! Can't wait to use them in my mixed-media projects! Oh wow! What a GREAT product! This is SO exciting!! This is THE most excited I've been about a new product in a long time!! Hopefully the michaels in my town will have this ...because this is now at the top of my crafty little wish list! Wow! So cool! I LOVE the owl. Can't wait to see tutorials and projects featuring them and how to use them! Thanks! The owl is one of my favs! ohhhhhhhh Myyyyyy Gooooodness!!!! I LOVE these! I use brads on my custom blocks as an embellishment, this however is going to take the place of those on lots of them. How great is it that I can make exactly how many I need, color that I need, when I need them and not have to have overstock. WOOOT WOOOT thank you!!!!!! That was the idea.....make lots and make them how you want to! So glad you like them! No wonder you were SO excited! These are wonderful!!! Congratulations!!!! This is totally cool! This is something I could use for mixed media collage work. I cannot wait for them to get to retail. Are they coming to Michaels? Please keep us updated on when and where they will be available because these look awesome! I am loving that owl as well! I will be wanting to own all the trays and I LOVE that you can use your glue gun and choose your finish. Oh wow I can't wait until these are available. They look awesome! They will be available very soon! I think they will be in stores (Michaels and more) in May 2013!!! I LOVE your new products!! I hope to be able to stop by tomorrow and play with them at CHA :) Great to see you guys today! Posted pics on my fb page and blog :) See you tomorrow!! That is CRAZY!!! I can't wait to get my hands on some of this product!!! Whoop! Love all the new molds!!! Now I can make all the crowns I need. Oh so many birds.. Love birds! I love this! I'm sooo putting this on my must have list! Will you be coming out with other colors of sea glass? Maybe red, blue, and green? Saw all the new stuff at CHA and can hardly wait to have some of my own!! I like this idea, but I was thinking that it is too bad that the sticks do not come in colors. 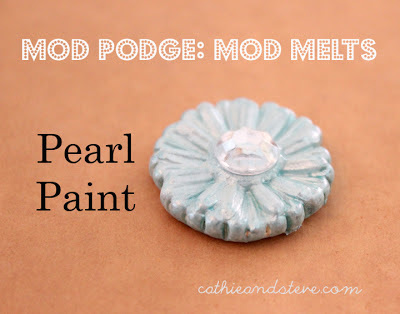 I like the sea glass look but then if you paint them then that effect is gone. Wish we could add some coloring while the stick is hot and it would cool a color. I will get both sticks. 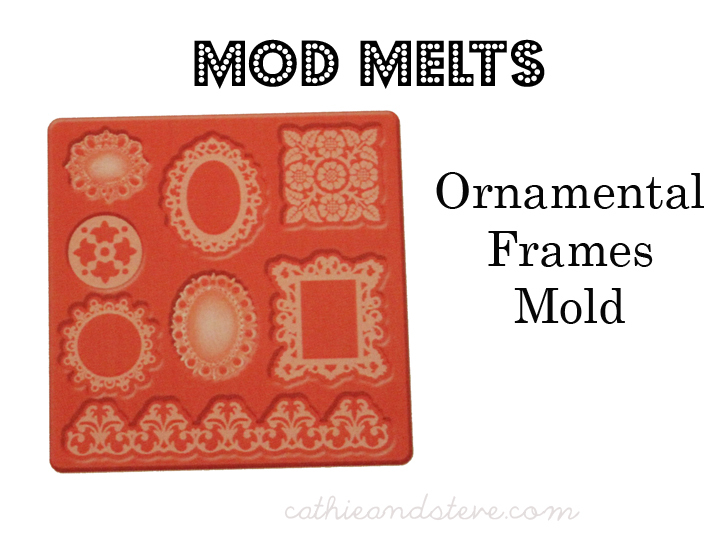 I had this idea of getting the frame mold and getting the white sticks. Once they are cool put some paint on and rub off - like antiquing them. You guys don't know how long I have hoped for something like this! 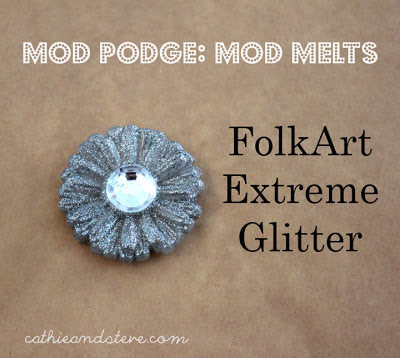 It is a crafter's dream. Anyone can do it! These things will look awesome on all kinds of art too! Scrapbooking, altered art, jewelry, just to name a few!! Great job! I am so happy for you!! This looks like the best new product I've seen in a long time! I make cards and would love to make my own embellishments instead of buying the insanely expensive resin embellishments from scrapbook companies. 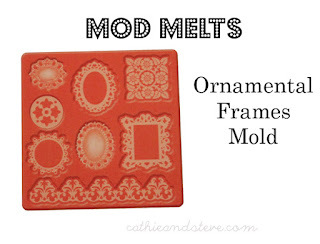 When will I see Mod Melts show up in Michaels? Thanks!! They will be available very soon! I think they will be in stores (Michaels and more) in May 2013!!! You got me with the first photo! Love everything, can't wait until we get our order at the store! how much are they going to cost? the molds and the sticks? I am really excited about this product line! 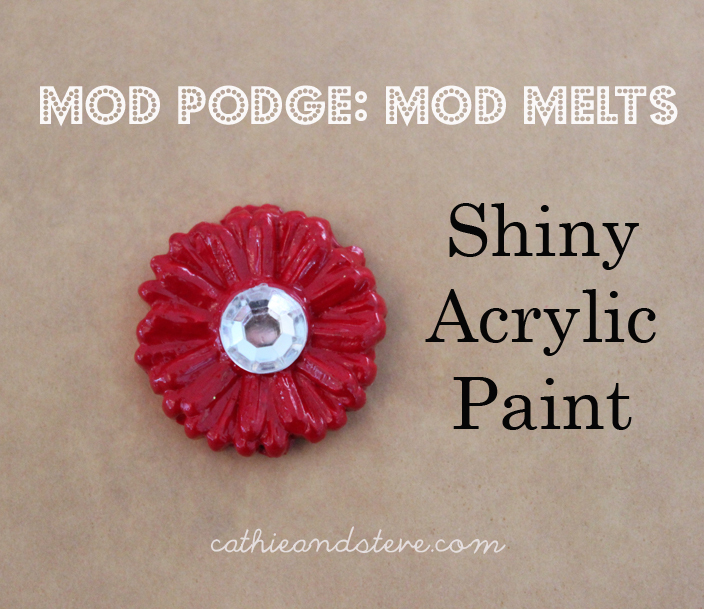 Gotta love Mod Podge!!! Ooh WOW!!!! This is such a brilliant idea. Can't wait to get my hands on these. Presumably if the moulds are silicon, we can use UTEE in them and have the embellishments any shade we want?? This is so stinking cool, Cathie!!!! Congrats! Awesome. Big Question is when are they shipping!!! These look pretty cool! I have some in glitter and color hot glue sticks that are just crying out to be used! 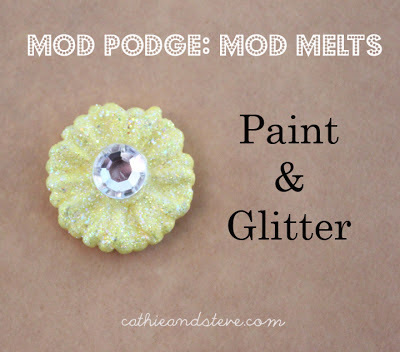 I love that you can use Mod Melt, hot glue, gem glue or tacky glue. Can't wait to see these in stores! Thanks for your imaginative craft tools! Oh my gosh, how awesome! 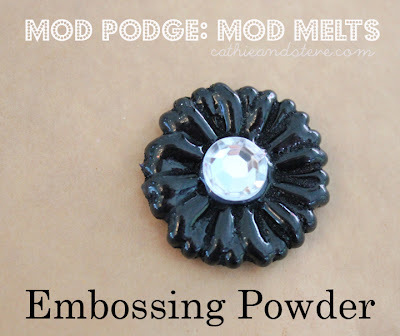 I just won a giveaway for some molds and wondered what kind of materials I would need. Can't wait until the sticks come out. When are they going to be in stores, I would really like some now. Thanks for making this awesome product. I just popped over from The Graphics Fairy and she was talking about this. Can't wait to have them in my hands!!! Thanks!!! :) I love the Graphics Fairy! Darn, do we have to wait till May? We want them now! Where can we get them and when??? Can't wait for this. Do you think it could be used for furniture embellishments? OMG! This is amazing! I have been looking for something like this! 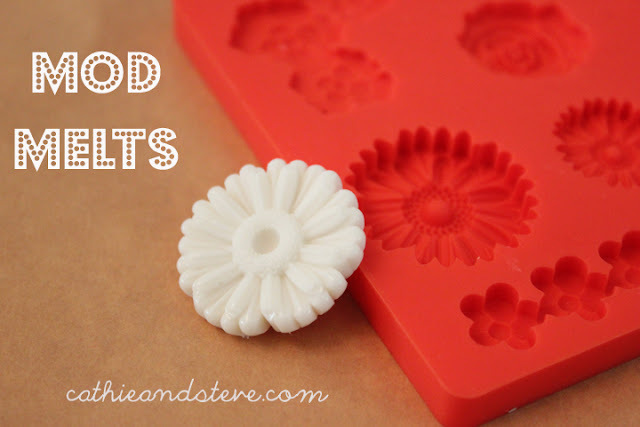 Can I use these with paper clay and/or polymer clay too? I CAN'T wait to get my hands on these! 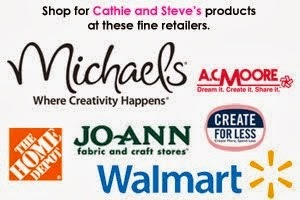 I will be stalking my local craft stores- do you when these will actually start appearing in stores? I need to be able to buy these NOW! I am so excited. I want them now, too - awesome product!!! AWESOME!!! 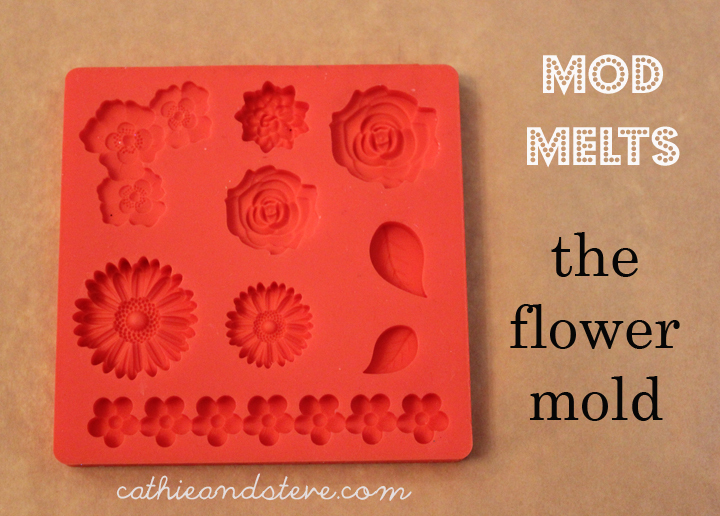 I have just now started getting into the molds and such. I cannot wait to try these!! Yayy!! Loving these...what a great idea....so many possibilities! Are they selling this yet? 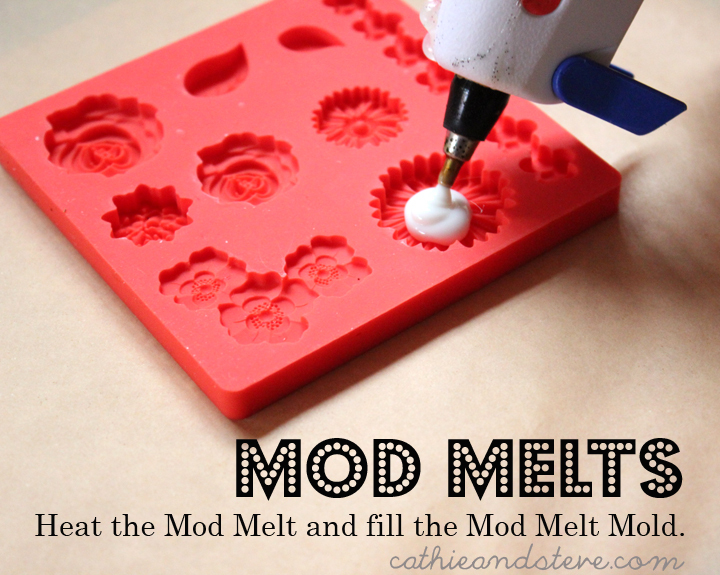 The melt sticks should be next to the molds..... What store did she buy the from??? And Thanks to mom!!! They are available at Michael's. I went this morning (6/23) and found they had everything available. I've just seen this at Michael's and I am in love with the product. I'd bought some clay to make some flowers, but will return those and get these! 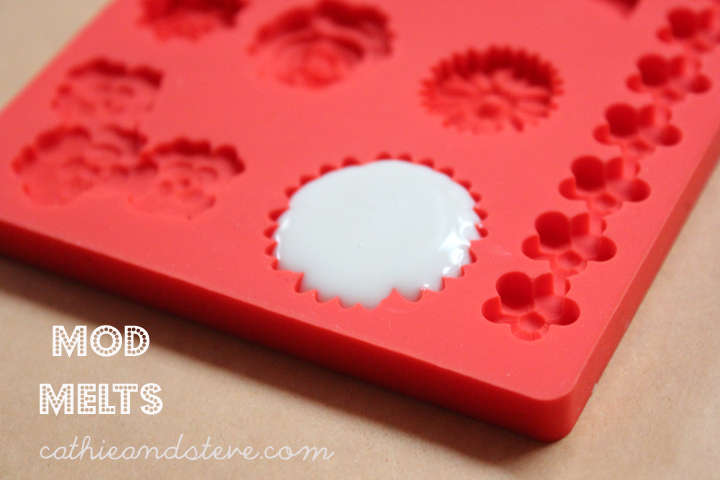 Looks so easy and I love the molds! Yes - I saw these on your web site ! And I have seen them at Michael's. But I didn't have a coupon to purchase. Would love to try it out! Exactly what glue gun are you using? I have a cheap little one from Michaels and it is so hard to use. I really want to get a good glue gun but having a hard time finding a HIGH temp one that can accept the smaller diameter sticks. I just over a fill a little bit and then trim with a detail scissor, nail file or my finger nail. Do you have any pointers on how to fill the small areas in some of the designs? I am having trouble with this part. Thanks! Everyone keeps blogging about these! I want them in my life as soon as. When will they cross the seas to the UK? The gun must be high temp and you should let it heat for a good 10 min. Some people have had trouble with the cheaper guns or the promotional guns because they are not true high temp guns. Surebonder or Adtech are both options that work. Just make sure they are high temp. I hope you are well! I have several questions if anyone has time. 1. Do they cool to a hard flexible? Or a hard inflexible? 2. 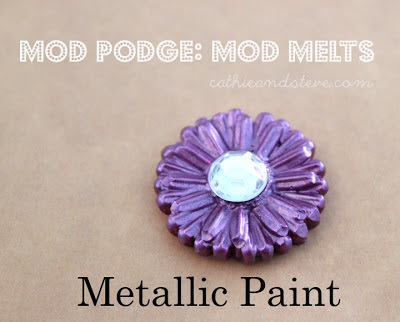 Is there a difference between the melts and standard colored glue stick? 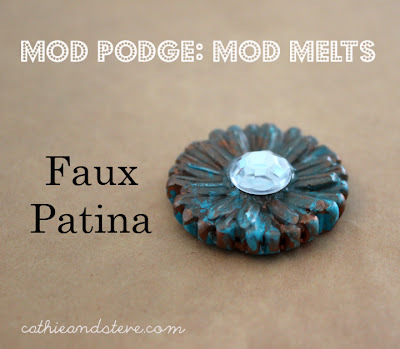 If the final product is hard flexible wouldn't glue be suitable for molds as well? 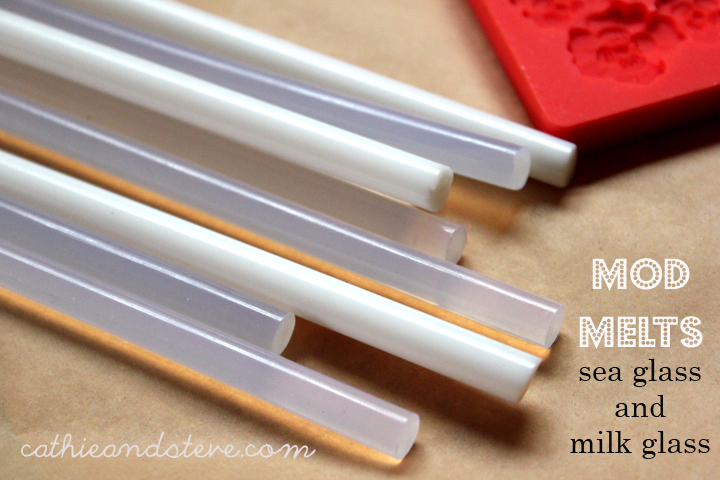 And finally, which high temp glue gun would you recommend for this mini sticks? Thank you! !